Dunn-Edwards Paints is Santa Clarita’s premier paint distributor. Dunn-Edwards provides professional color advising and free color consultation with a professional paint expert. A company that started as a small, family-owned business in 1925 has grown into a national leader in paint sales and customer service. 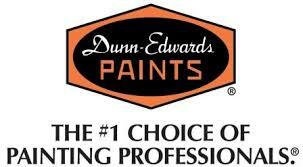 Their commitment to high-quality paints, tools, and equipment makes Dunn-Edwards a company worth buying from. Dunn-Edwards prides itself on strong customer service and satisfaction. They are dedicated to providing professionals and paint experts that help you choose the right color and products for all your home needs. Dunn-Edwards employees provide services in Spanish as well for non-English speaking Santa Clarita residents. Being the leader in national paint sales means you provide high-quality products. Dunn-Edwards is proud to sell paints that are made from the best ingredients. Their paint is formulated to stand out in any climate, and is specially designed to resist weathering, aging, and chipping. Dunn-Edwards has a long history of developing products that are made in an environmentally-safe manner, as well as protecting the health of their customers. Dunn-Edwards is the first company to receive the prestigious LEED Gold-Certified Award for their new paint facility—ensuring production of paints that are both high quality and environmentally friendly. Since its conception, Dunn-Edwards has been an American-operated and American-made company. All paint and equipment products are made in the United States. What started as a small family business in Los Angeles in 1925, has grown into the national leader, and Santa Clarita favorite for all your paint needs.